Our strength lies in our belief that technology should serve people and not the other way round. We drive technology and push it over the cutting edge to fulfill your Clutch Hub to add quality to your life. 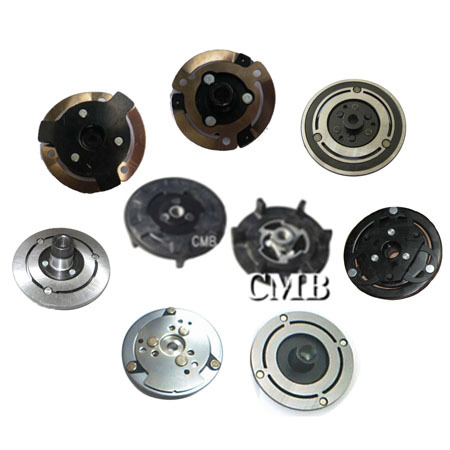 For suppliers of Clutch Hub and services we guarantee to provide the most comprehensive access to business opportunities. Ensures the very latest technology is employed to enable you the simplest, least expensive and most effective results whether you are a buyer. We aim to encounter a flourishing growth and at the same balancing with international quality standards. All the products are qualitative and at the same time cost effective. Clutch Hub: Made out of Steel and also Composite Material. Suit for various types of compressors Denso, Sanden, Calsonic, Visteon, Keihin, ....etc.